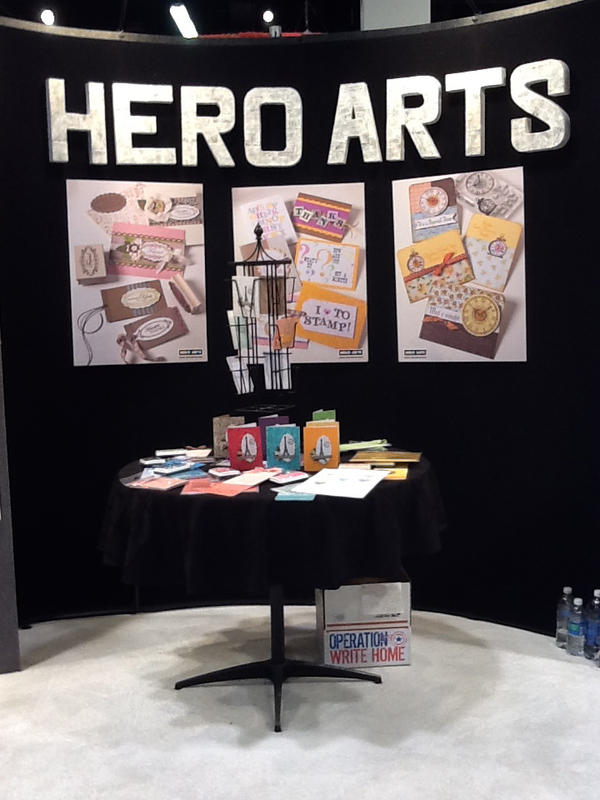 OWH dropped off collection boxes in different sections of the tradeshow floor, and asked the booths in the area if they’d donate their sample cards; so of course Hero Arts was one of our drop points! Our friends at The Greeting Farm donated some goodies for our cruisers, so of course we had to stop in for a photo op – and a few happy tears with Jessica. 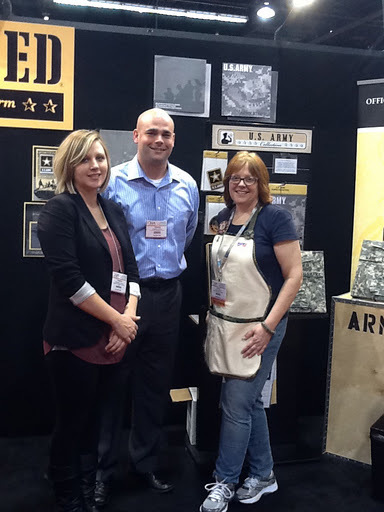 It’s always a blessing to meet people with family members in the service! We presented these certificates to many of our partners around the tradeshow. And no, my paper isn’t yellowed, it’s crazy hotel lighting! West coasters: Keep those cards and letters coming while I’m gone! My housesitter will be bringing in the mail, and I need to get a whole bunch of boxes in the mail right when I get back. Midwesterners: Ditto for Kris, except her housesitter is hubs! Hello everyone! It’s me here with an update from our long and exciting Tuesday. It’s 3:00am – and no, I’ve not been up this late, but woke up an hour ago and can’t seem to get back to sleep….so am hoping that blogging might empty my brain a little! I don’t have photos to share yet….we have others doing a better job than me of keeping up with photography, so I’ll snag some of them to share later. It was quite the day yesterday, our longest of the show. The regular day lasted 10-6 as usual, but we hosted cardmaking at the Craft Carnival in the evening, 6:30-10…so we were in for a lot of work! I met with a lot more companies all day, many of which you’ll be seeing around with OWH in the future….we might have to do a bunch of hops like the 11.11.11 event that everyone loved so much! As I travelled the floor all week, I was able to share just how happy Hero Arts is with our partnership, and their desire to do even more with us – and that gave so many companies an extra boost of confidence. 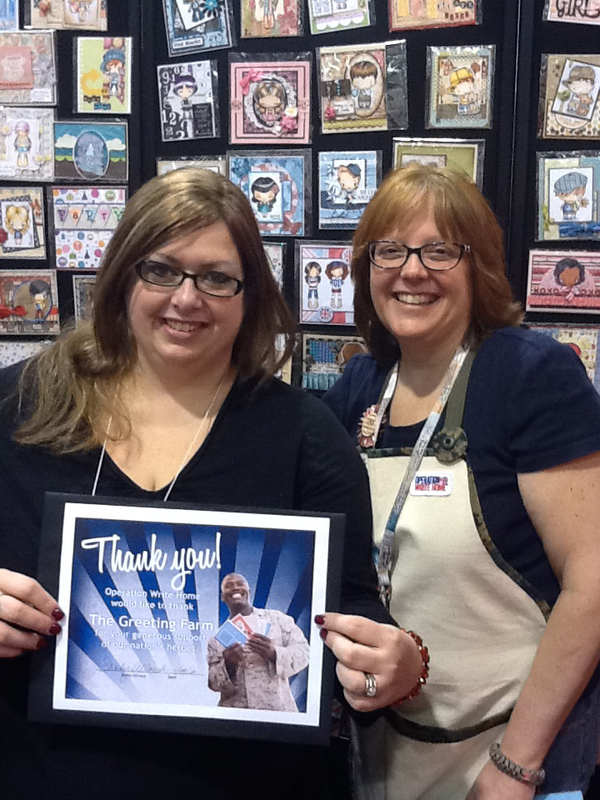 “Hero Arts is a trusted brand in the industry,” I was told by Kelley, the owner of Lawn Fawn. 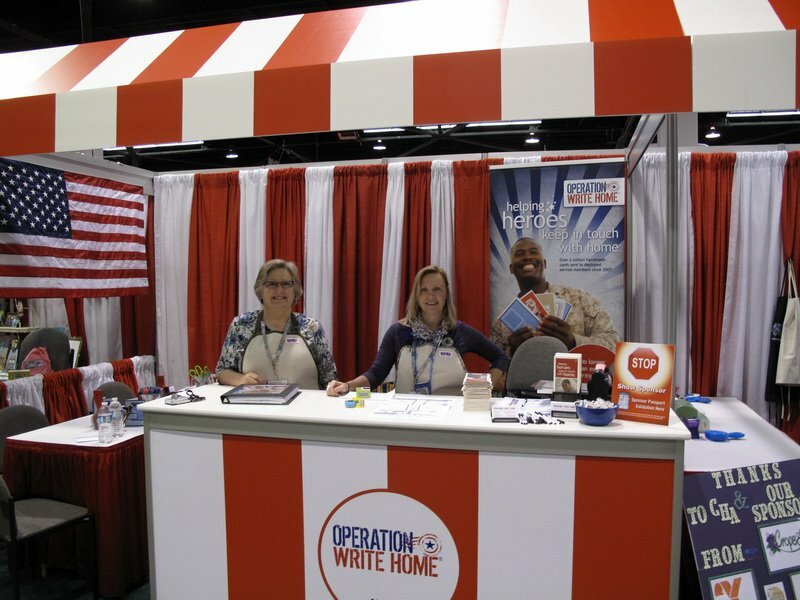 “We would love to do something with OWH!” That was such a common sentiment I heard everywhere…and talking about our stamp partnership was a great way to share with companies yet another way they could consider supporting our heroes. I’m not sure how many of the conversations will lead to that level – but I do know we’ll be having a lot of fun in upcoming months! 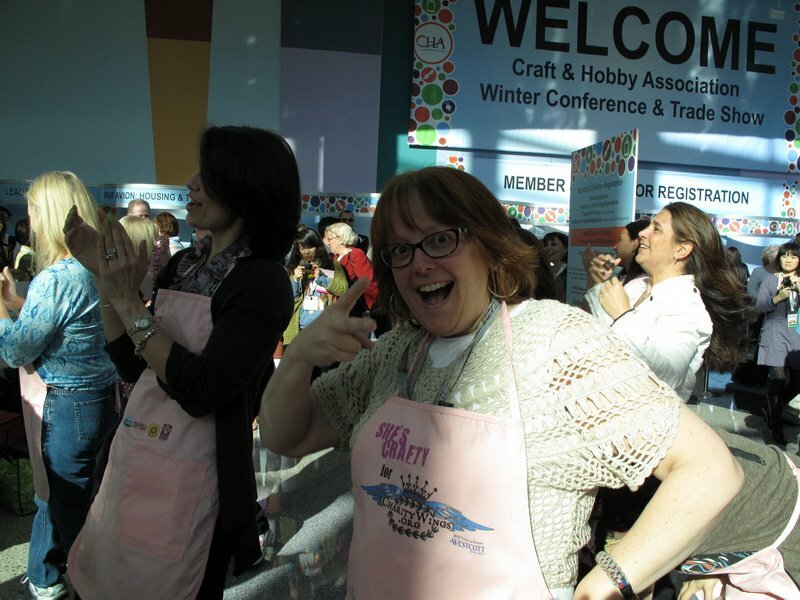 In the afternoon, a few of our team set up our area for the Craft Carnival….we disassembled parts of our booth and started hoofing it! 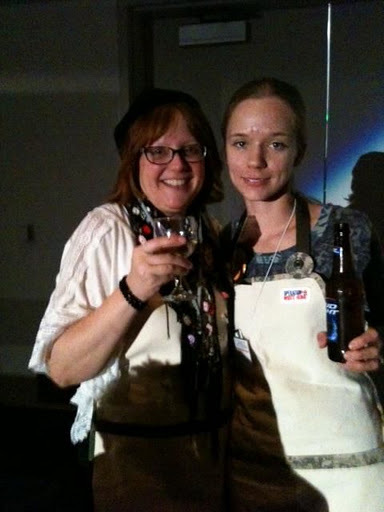 They gave us a tent as the structure, and we tried working in our tables to get the best lighting for crafting; it was in a big ballroom, and they were going to use dim lighting since it was a party…so that was a challenge. I changed clothes, so I could feel a little fancy; I was to speak from the stage to the attendees (about 700), and was nervous enough to need the comfort of a cute outfit! Anyone else feel that way? Kits are laid out (in envelopes), samples with them – adhesive at the ready, and snacks to keep everyone going! The second group on stage was ConKerr Cancer – and their leader Cindy was called up. I wish I could share their video with you, it had me in tears! I heard Cindy’s story from her, but she is so humble that she hadn’t told it in the way the video did. I’ll have to have her email me the link and then I’ll share more about their project with you. Cindy invited folks to come and make pillowcases for children suffering with cancer….and I finally got myself to sit down and sew one. Oh my gosh does a real sewing machine make a difference, my little baby machine is, well….little by comparison! ha! Charity Wings was next on stage – and I know to so many of us, the announcement that we lost in the late hours of the voting was very sad. Our heroes had worked so hard to get us close to the finish line…but I still feel really good about how we did. I’m so proud of our OWHers – instead of robovoting, we had comments on our facebook like: “We are behind. : ( I am passing the link around to friends who haven’t voted yet!” That makes me so proud, that our OWH family is full of so much integrity! The nonprofit world needs more of you guys!! I would certainly rather win with honesty than to know we did anything unfair. So thanks, everyone, for your efforts – I appreciate you all soooooo much! After a flashmob wreck (they had a mob without much flash…the reprise of the dance didn’t go so well, since the music didn’t happen! lol)….then the real fun of the evening got started! We had people FLOCKING to our booth to make cards!! I was absolutely amazed – ten chairs at each table were full all night long, a waiting line developed, and some ladies sat there for a long time making a ton of cards. 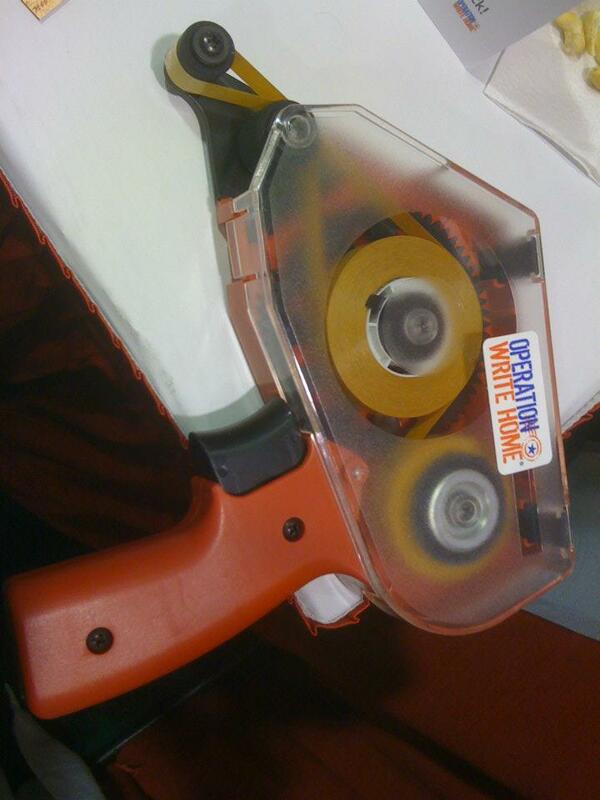 Heck, maybe they’ll show up at our booth tomorrow and help us get going on the last of the kits! 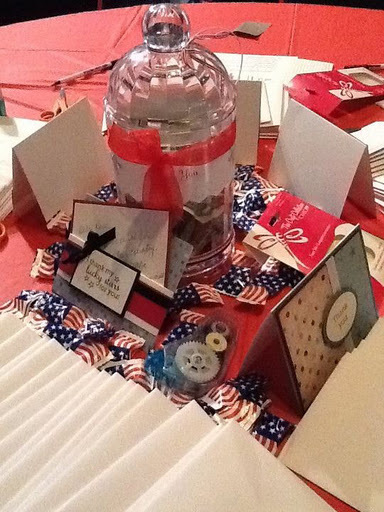 Most of the cards got notes written in them, and the rest that were blank can be used for thank yous by our heroes. As we packed up, I think we had finished almost all the kits we brought, and I think there were over 200 planned for the night – so that added a lot to our total quickly! The video below is just a little clip, and it’s very dark (and sorry, it’s vertical, lol!) 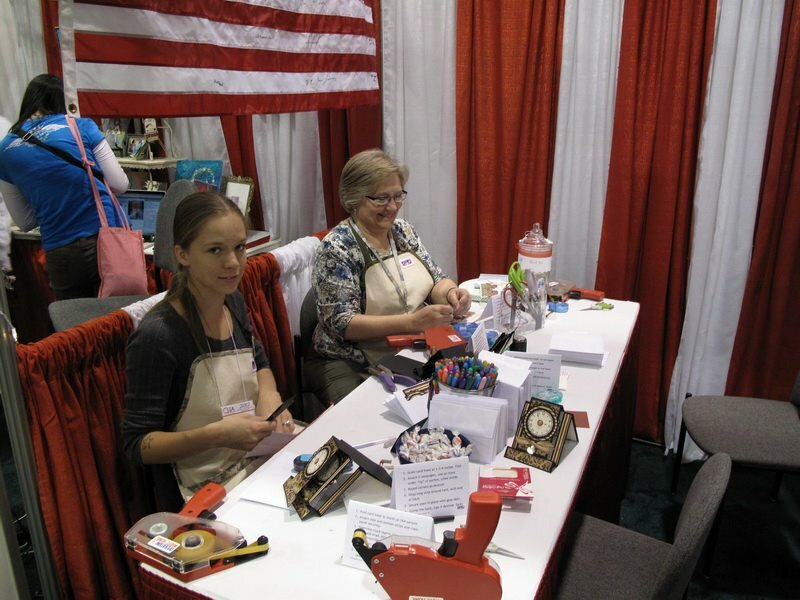 – but you can see the happy crafters working away! 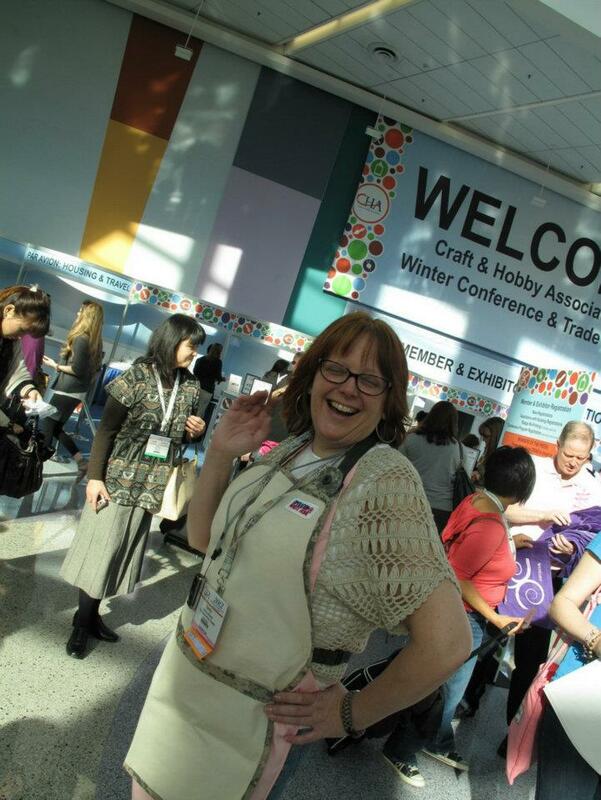 One of the most exciting parts of the evening for me was seeing just how many retailers wanted more information about hosting cardmaking parties. Lots had come to this evening event to “see how it’s done!” We had our big book there with us – we have printouts of the project sheets we created for all the kit cards from the whole week, a printout of the sketches from our blog, and prints of the retail kit they can download….and of course pointed them to the Hero Arts sets!! We have lots of emails to send out when we get home, and you can hopefully find a party near you starting up. One lady in particular sat next to me making cards and talking about hosting an event in her store. I was talking with her about the Hero Arts sets, and she said she was bummed, she had already written her order with them and never saw the OWH ones. I pulled out the sets to show them to her, and it turned out she had ordered two of the three, and hadn’t noticed the logo! lol. So that proved my point in wanting to create sets that people would want even if they didn’t know about OWH….we know WE love them because they’re “our” sets, but the accidental love we get just from them being cute stamps – that’s a super side benefit! 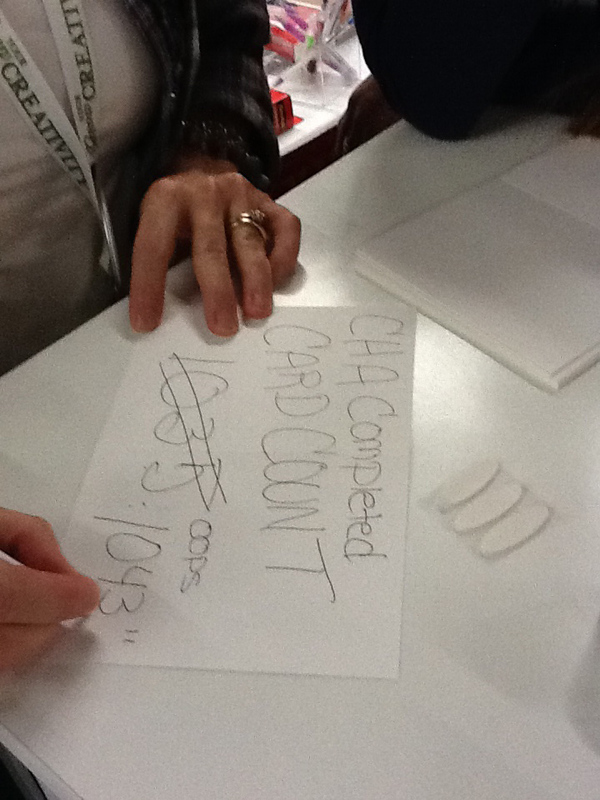 And speaking of our total – we’d gone over 400 cards made in our booth before the Carnival…adding the possibly 250 or so I think we did last night, we’ve got a not-too-shabby number adding up! I think our team is more determined than ever to see what we can complete in this last day – the shortest of the show – and I am hoping that after last night, we may have more folks stopping in to make up some of our kits with us. I wish I had more pictures to share, but wanted to at least get a little more info out there for you guys….I know you’re following us pretty closely, at least by the number of people leaving comments on our prize giveaways! 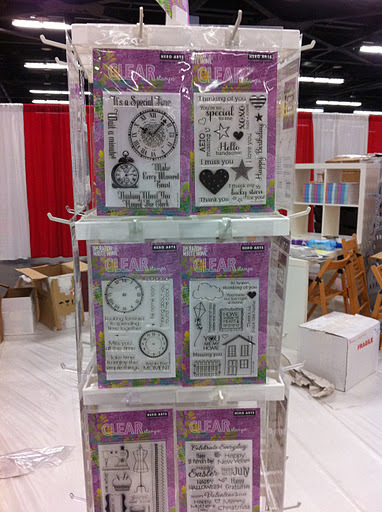 We’ll have one more eclectic Paperie prize pack to give away for this last day of the show – so stay tuned!! With an empty spot on the blog today – and with me being awake hours before I needed to today, agh! – I thought I’d take time to let you all know what’s been shakin’ at CHA so far! 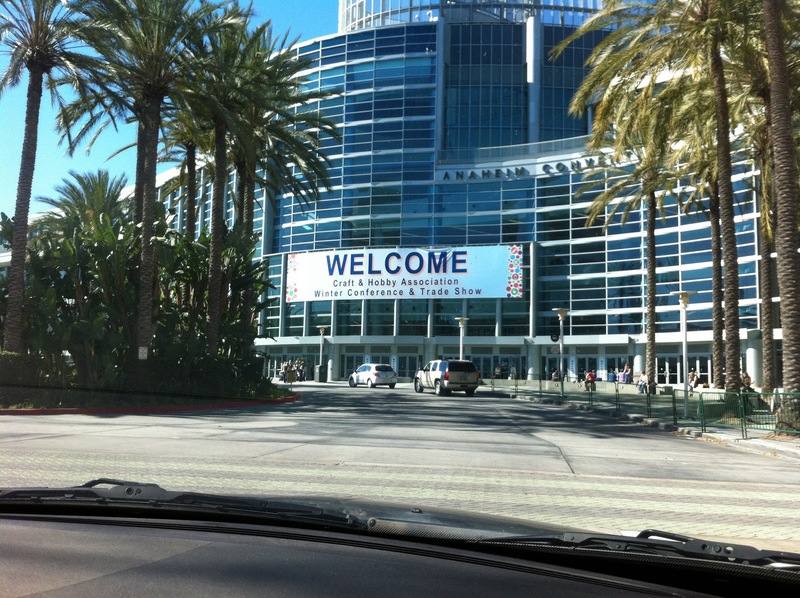 We arrived on Saturday, and our team met to set up our booth! CHA has an area set up called the Community Park – all the nonprofits are in this red-and-white striped section, which has lots of chairs and tables in the middle. There are faux trees, topiaries, and fake grass 🙂 Yep it’s a park! Our booth is the second one in on the right, half of it showing in this view. 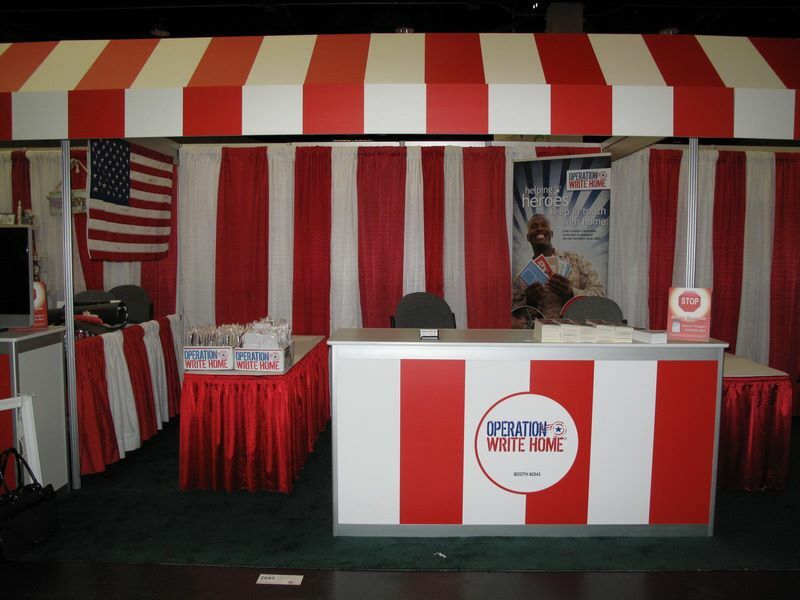 The early skeleton of our booth…we hung up a flag signed by our heroes, and added our banner in the back! Sunday morning started with the FLASHMOB! I’m still waiting for the video – but what a hoot. 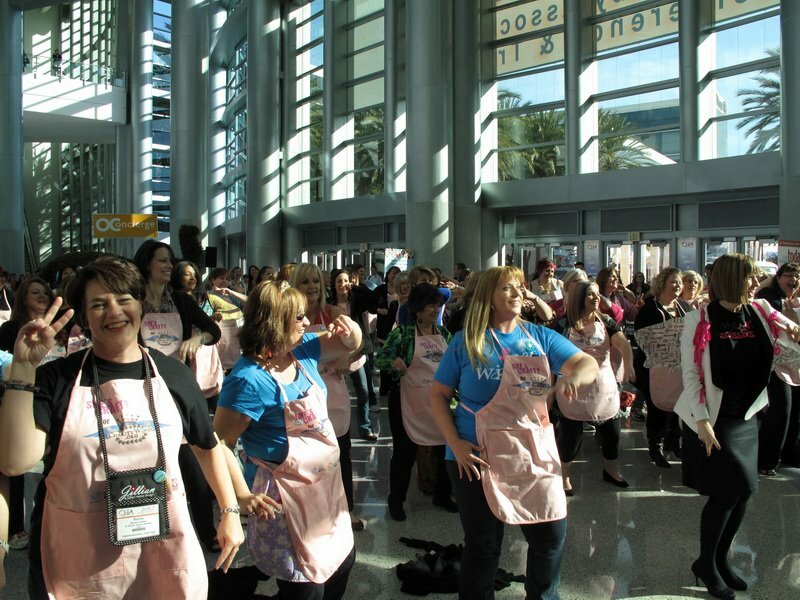 It looked like about 75 people in the group to me…we wore our pink aprons (under our OWH ones til it was “time”….everyone else covered theirs with jackets etc). 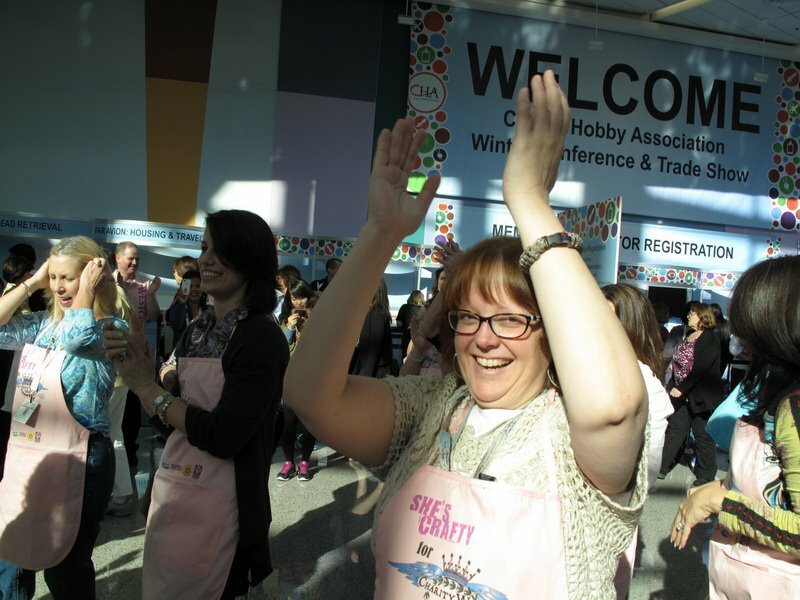 The music suddenly started, and we flung off the covering of our aprons —and danced our little hearts out! Yeah baby! I’ve now done a flashmob! Bucket list checked off! And I wanted to share a crazy thing that happened in the last few days….remember me telling you we weren’t going to bother to go vote anymore? Well….one of our heroes saw that post. And his reply to me: “No way. You can’t quit. We got this!” So the link to vote has been going around Afghanistan and parts beyond, so guess what? We’re back in first place?!? Okay, back to CHA! 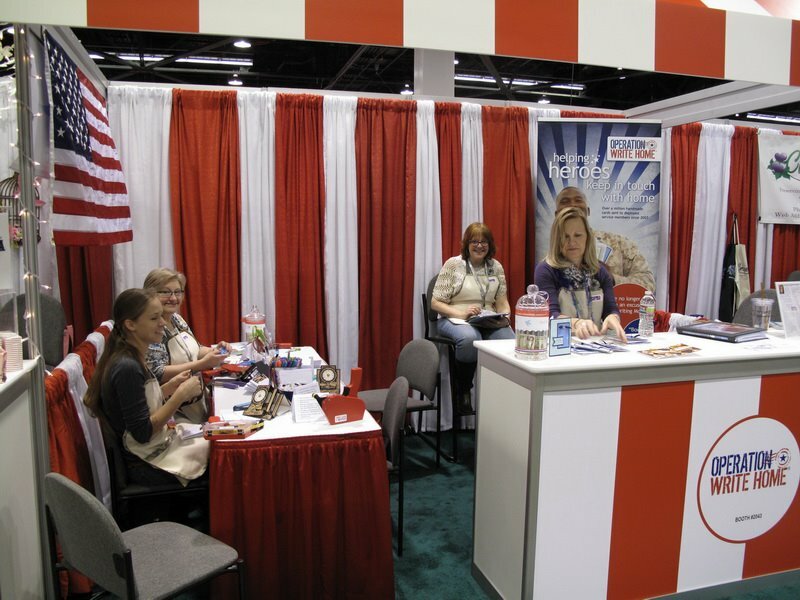 We have six of us taking turns at the booth all week, in shifts of 2 hours, with three at the booth at any given time. 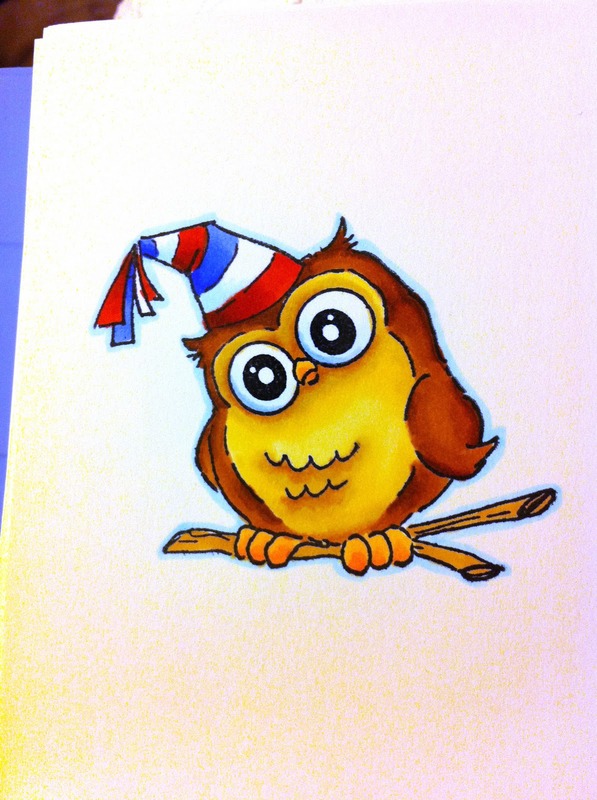 With our goal of 1000 cards, we’d need to make 25 cards an hour all week—agh! So we’ve been sitting down with our visitors and making cards right along with them! 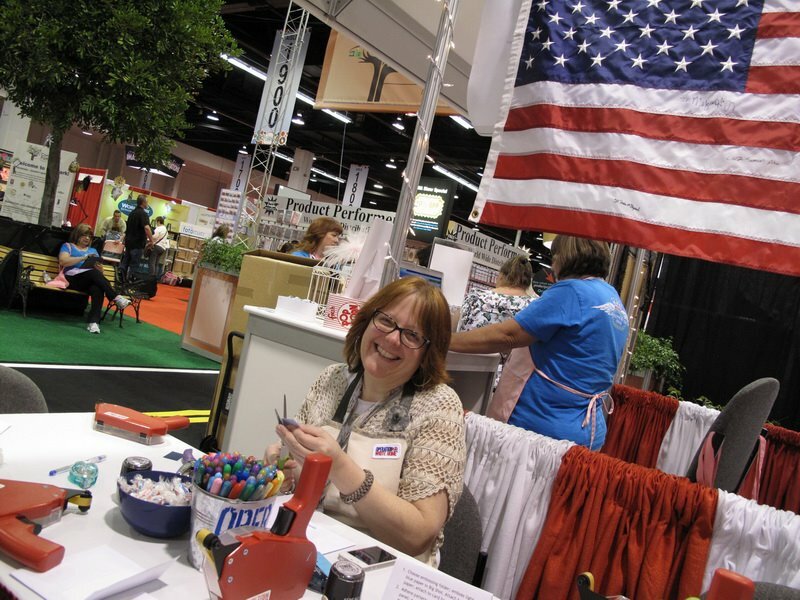 We have all our prepared kits, and each card has its parts in an envelope…so we place that and the tools needed in front of each crafter, and they go to town! Volunteers Samantha and Debbi working hard! A lovely donation jar on the counter, made by Sue. Leslie’s manning the front desk. 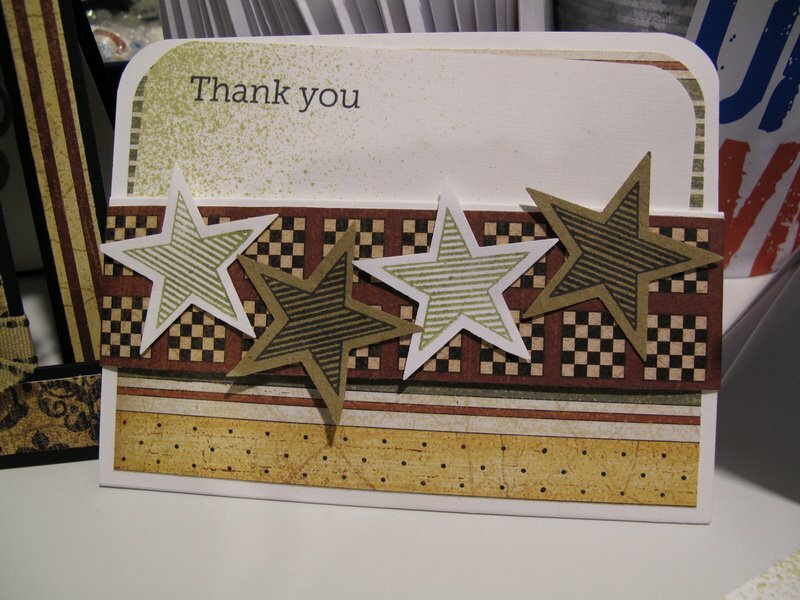 One of Sunday’s thank you card kits. This card kit got a LOT of attention! Recognize that clock? Mom, I love you! And your May Arts ribbon too. I took a shift at the table! Debbie and Leslie: May we help you? I don’t have many pictures from the rest of my day – I am so bad about remembering to get out the camera! But….I spent my time Sunday visiting existing OWH partners and delivering some love to them…thank you certificates and copies of our Annual Review! It was an ‘easy’ day for me that way….spending my time with folks who already know and love us, and sharing successes as opposed to selling them on the idea of playing along with us. I had a wonderful chat with the man you all have dubbed “Mr Hero Arts” – and he was so thrilled with how our partnership has begun! I asked how sales were doing and he said it’s going wonderfully. Wonderfully enough that he thinks we need some more stamp sets! So get your thinking caps on ladies, they welcome our ideas!! I’ll be talking with him further when he stops by our booth….we’ll see if we can talk him into making a card 🙂 And I promise pics! Last night I had a very very special treat….while our team went off to have dinner, I got to see my little buddies, Lainey and her brother Jace!!! They came to Anaheim with their mom (Samantha) and grandma…..grandma is taking them to Disney, the beach, etc, while mom works at our booth. 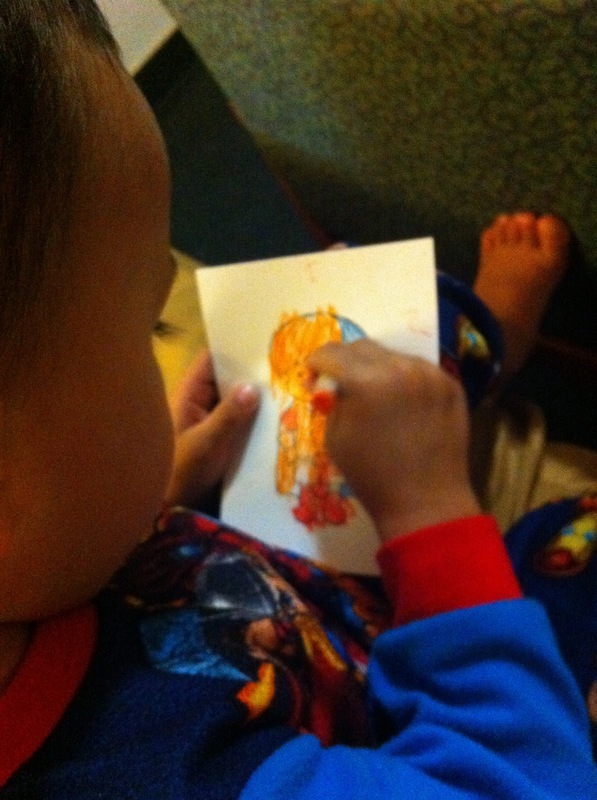 But I snuck in some time with them….Burger King, coloring images, and playing wayyyyyyy too much Plants and Zombies while snuggling up together. What a perfect evening! During my lunchbreak yesterday I shot a superfast vlog….I’m having all kinds of connectivity issues here, so even posting the link on Facebook was a challenge. So if you missed it – here you go! Today’s plan: Lots of running around and meeting some new folks…..some of whom I’ve ‘met’ in email before but never face to face. I am soooooo looking forward to putting faces to names! 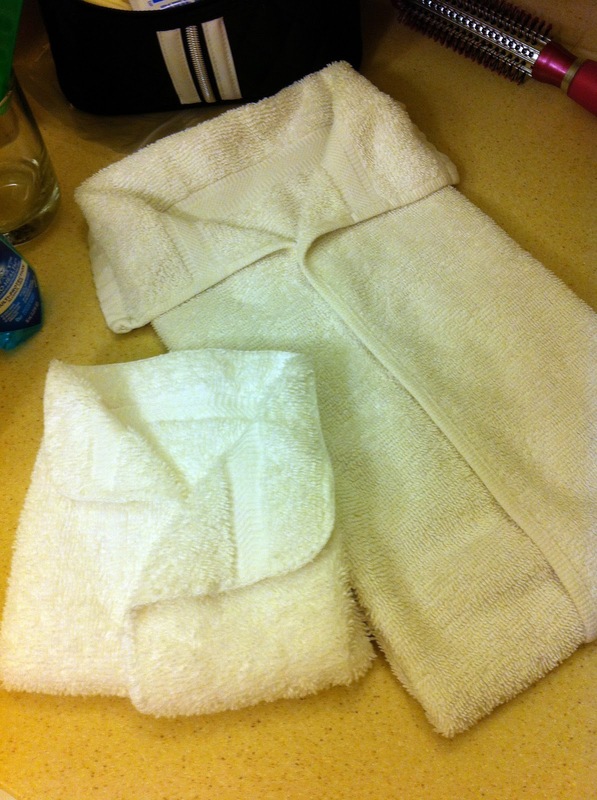 One last thing – our hotel has these really cute towels folded on our bathroom sink – I’m going to see if I can make a card inspired by this at our booth this morning. Let’s see what I can come up with! 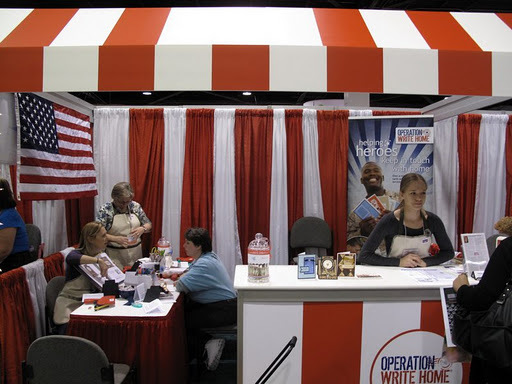 OWH has been blessed with the chance to go to the Craft and Hobby Association Trade Show in January – and host a booth! This is a huge leap forward for us in so many ways, and we are very very very excited! And hopefully you didn’t skim right past the huge announcement: Hero Arts has created three stamp sets that will be a benefit for OWH!! 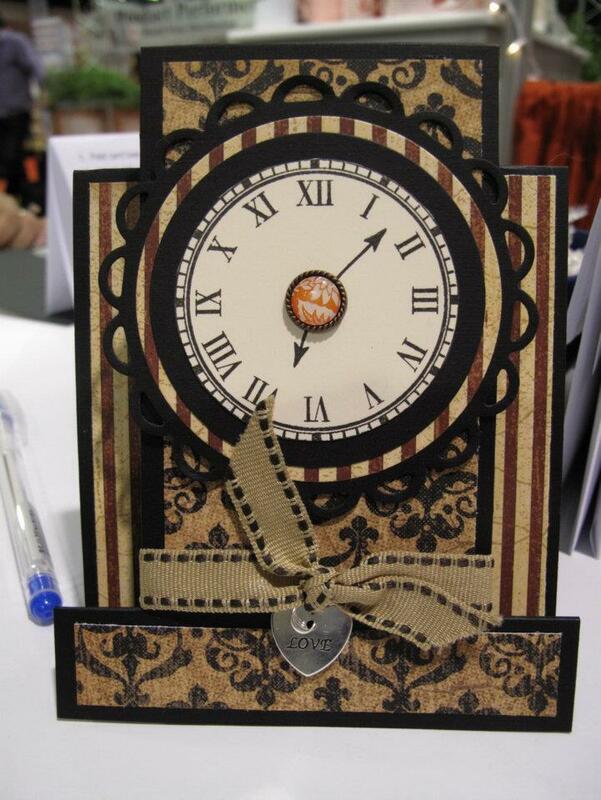 You can see Shari Caroll’s really pretty sneak peek card below from the hop… she did a lovely job with the clock set! Retailers: You’ll have the chance to preorder in December, so stay tuned for the announcements. I have to say, Aaron Leventhal, the CEO of Hero Arts has to be one of the very nicest men in the industry. 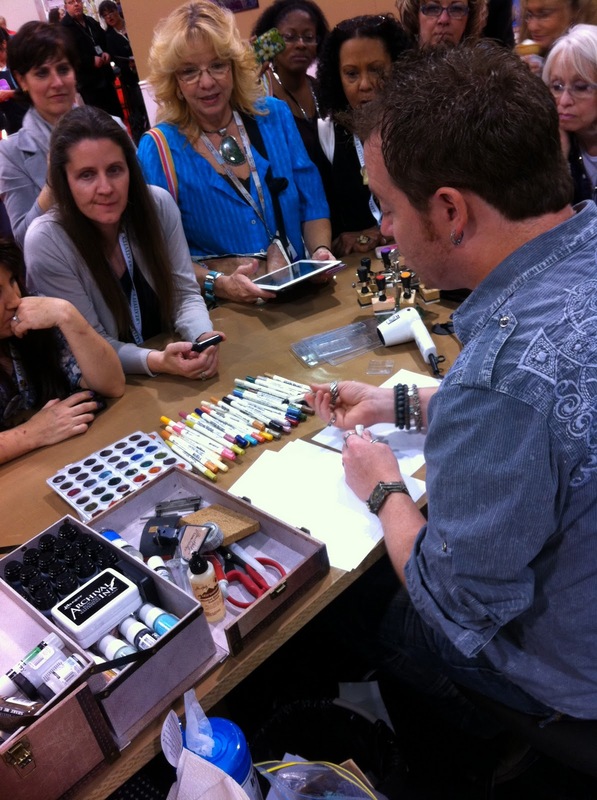 At the trade show he was so gracious…and once we started working on the stamps, I was regularly invited to give feedback and input. They let me propose the content for the stamp sets, and even some little line drawings to point them in the direction of what I thought would be really great for OWHers…and I am so so so excited for you all to get to see them and use them on beautiful cards for our heroes! This is just the kind of partnership I was hoping for when meeting with company owners at CHA…and I can’t wait to see what January brings! 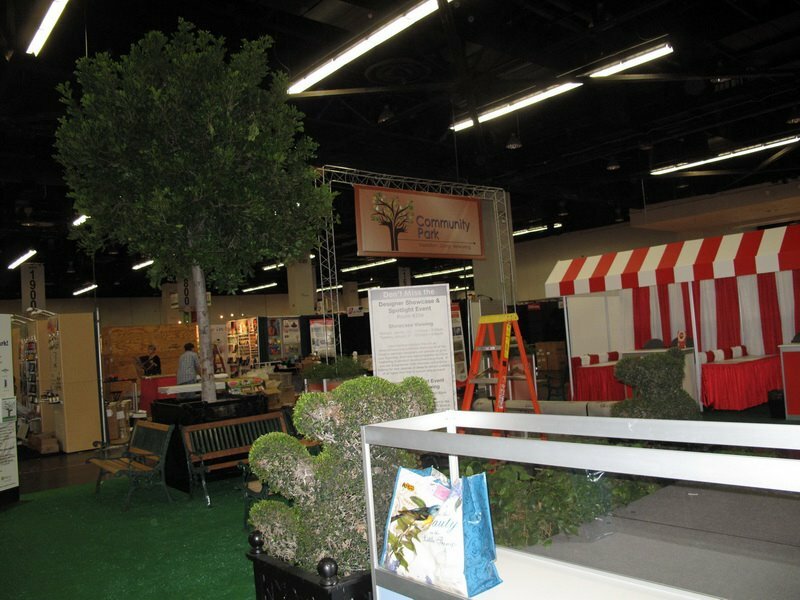 At this show, CHA is providing us with an 8×8 booth space – we’ll have make-and-leaves, and we hope all of our company partners – retailers, distributors, manufacturers – will all stop by and make a card and say hello. 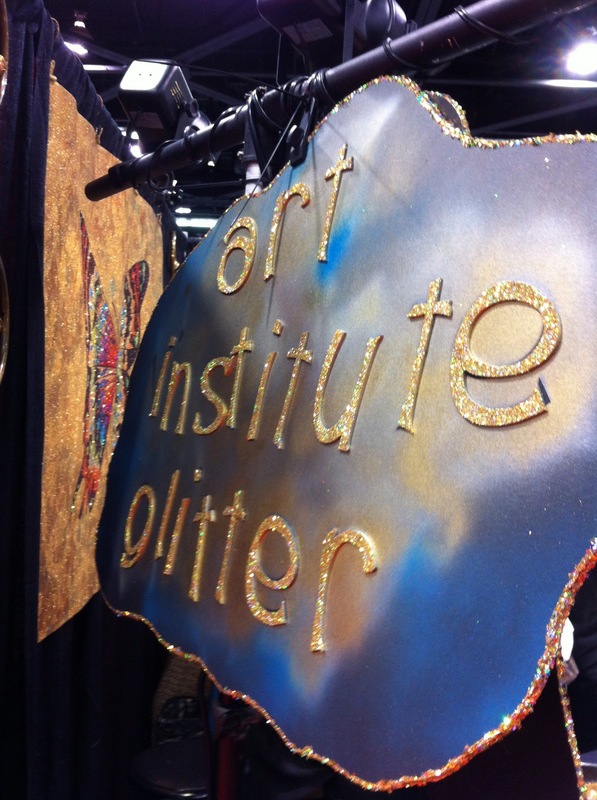 Designers – come on by and share your talents with us too! Be sure to visit all the nonprofits who will be at the show, they’re a great bunch of people doing awesome work, and you’ll want to be helping with their causes too. It’s good for your business – as well as a lot of fun! 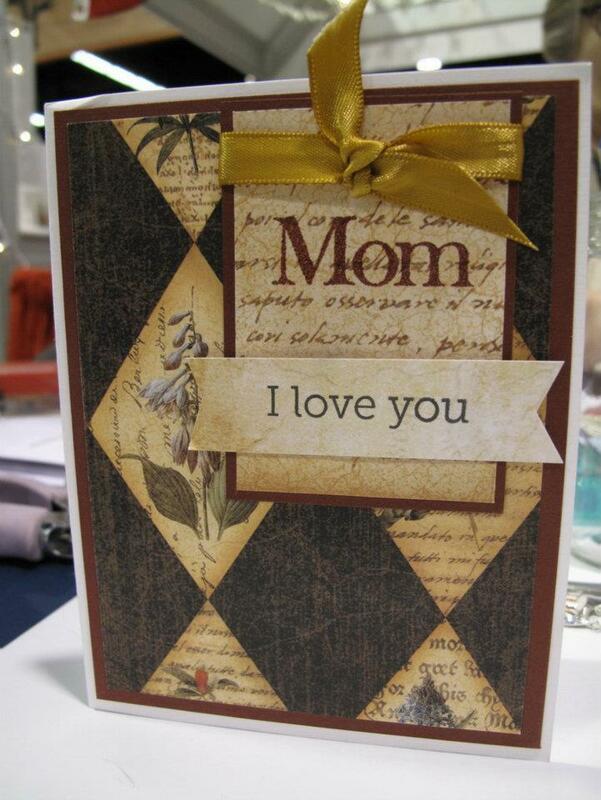 A couple other things about the show – we’ll be hosting a cardmaking party at the evening gala. 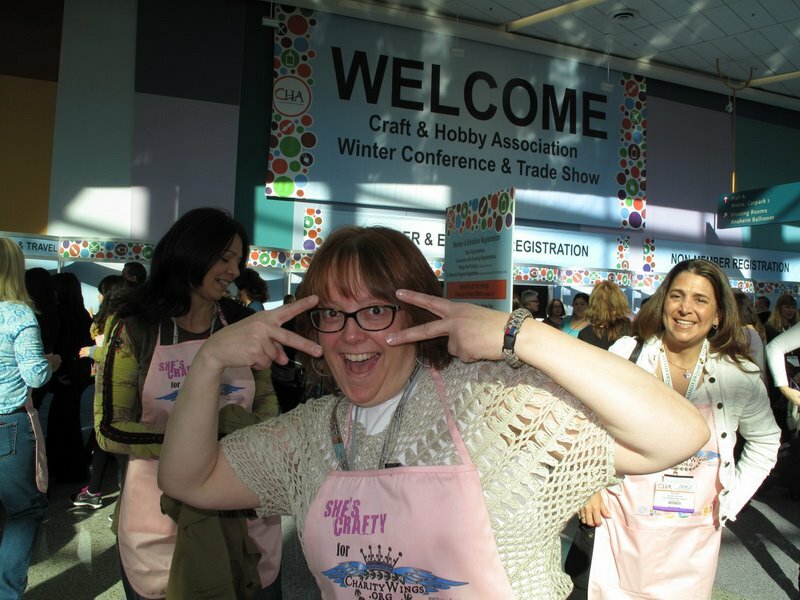 Ever tried to throw a cardmaking party for 800? Yep! That’s what’s keeping me busy! Kits for the show plus the gala….and they are adorable since they all use the new swanky Hero Arts stamps!! And as if all that wasn’t enough…the trade association’s magazine will be running an article by me in their next issue….talk about exposure. Stoked!! So with all of this – my apologies in advance for the things sliding off my plate. I’ve gotten behind on some of my data entry, but will be catching up as I’m able. You all have been so very patient with me all during holiday shipping season – so just pretend I’m still drowning in cards for a little while longer 🙂 You guys ROCK!